Two spots of Transfer Balls on the BBC’s clickbait football pages. 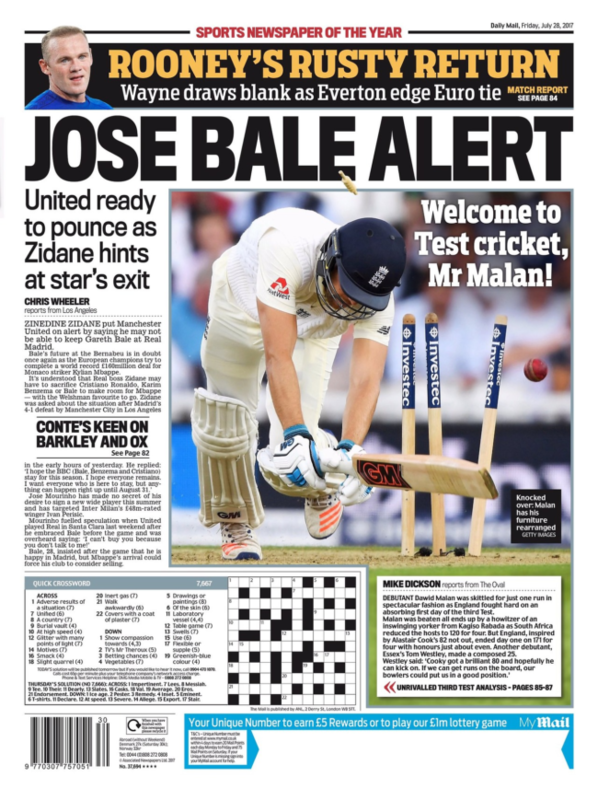 First up the news that Manchester United “will offer” Real Madrid 140m euros (£121.8m) for the brilliant Gareth Bale. Oh, and the Spanish shopping trip does not end there because United are also in for Barcelona’s Spanish 29-year-old left-back Jordi Alba. United are desperate. 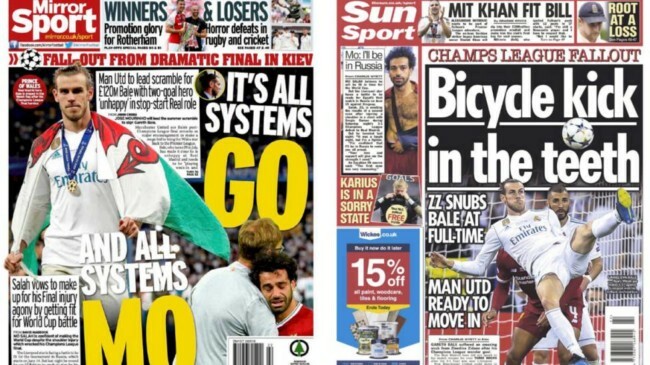 You realise just how needy the Red Devils are when the BBC also notes that Manchester City “believe” they can recruit Leicester’s Riyad Mahrez, 27, for a “knockdown fee of £60m – though it will still break their transfer record.” United spent more than that on Lukaku. 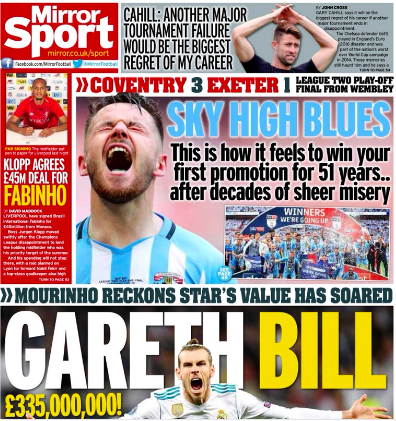 Over £120m for Bale is a lot of money but just one day ago the Mirror was telling us the Welshman would cost United £335m. The advice must be to give it a week and get him for around £20m. Bale’s price is falling fast. This contractual data would be very similar to what is currently charged by Tottenham’s flagship player, Harry Kane, so Bale would not be the highest paid player in the London team. Of course, Tottenham is confident that despite these salary cuts, the desire of the Welshman to play all the minutes he does not have in Madrid and to return to the team in which he exploded as a player would be enough to convince the Welshman. 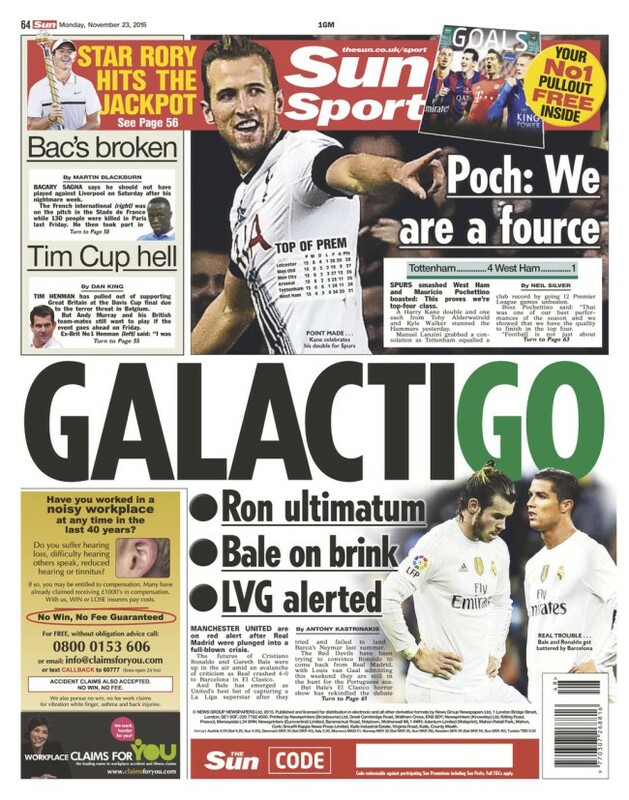 Bale must be chomping at the bit to rejoin Spurs for less money and less chance to winning anything. So why not take an even larger salary cut and return to Southampton? 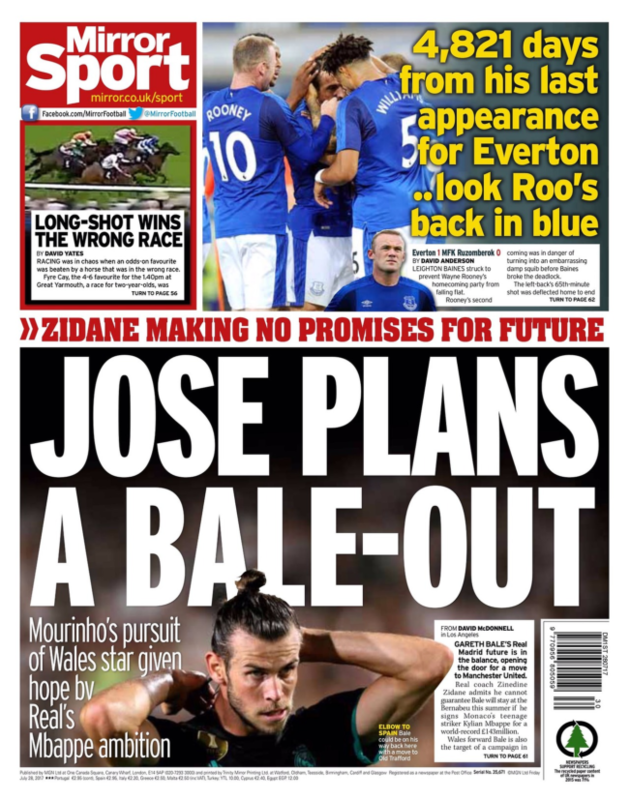 Gareth Bale’s agent Jonathan Barnett is set to meet with Real Madrid officials to decide the Wales star’s future – but he will not be returning to Tottenham, Sky Sports news understands.